High up practicing keeping 'Paradise' safe. 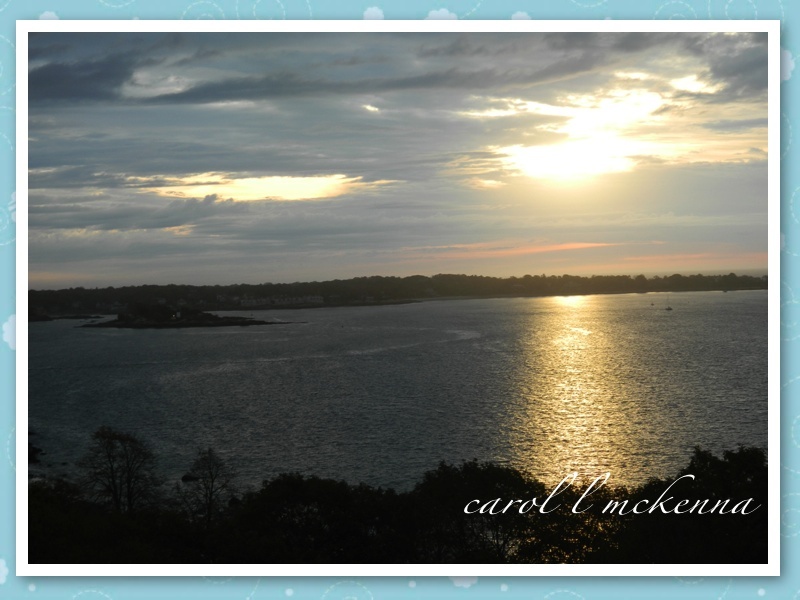 Our Morning World on Cape Ann MA for Our World Tuesday. My creativity is being expressed with the first photo in pen and ink and watercolors. My other daily creative loves are haiku poetry and photography and each day I try to share with you one or more of my creations that deepen and strengthen my spirit. We are sharing with the wonderfully creative blogs listed below? Hope you will take some time and 'feed' your soul with these blogs. Wishing you the best in each day. Carol ... what a delicious and beautiful post. I love the both haiku you have written for today (and tomorrow). As always it's a treat to see your posts. beautiful Mother Earth, beautiful post! Excellent captures. Particularly the one with the man climbing the ladder. 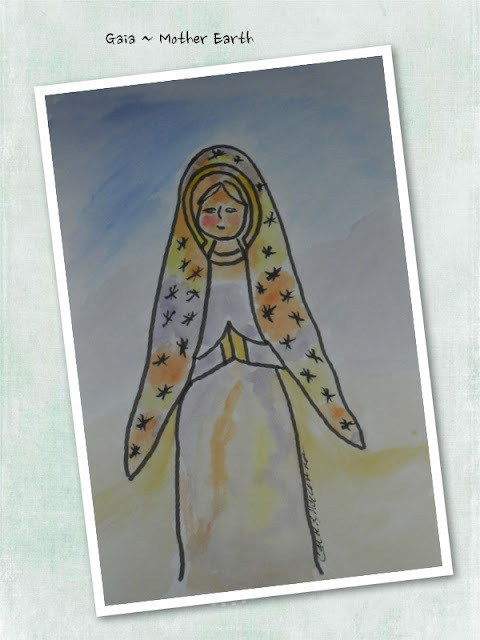 Very beautiful post... the photographs, artwork, and written word! I shall remember your mother earth. 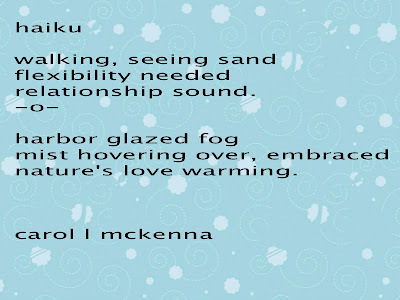 Lovely entries, I low your mist haiku, and as usual it's a joy to read the rest of your entries. lovely sketch of Mother Earth today! Lovely, as always! I really like your sketch. Also the last photo is just beautiful! You are so talented! You live in a beautiful area too! I love it!!! Lots and lots of wonderful working relationships in this world.. just gotta know where to look! Cape Ann looks beautiful. What a wonderful scene to look out on as you start your day! Every thing is beautiful, bllessings to you. Beautiful art, lovely Gaia and wonderful sunrise! fabulous photos-- you've captured paradise beautifully! I really am drawn to that photo of the fireman climbing up the ladder. The simplicity, the linear aspect with the use of negative space...perfect! Sweet drawing, lovely photos and creative writing! 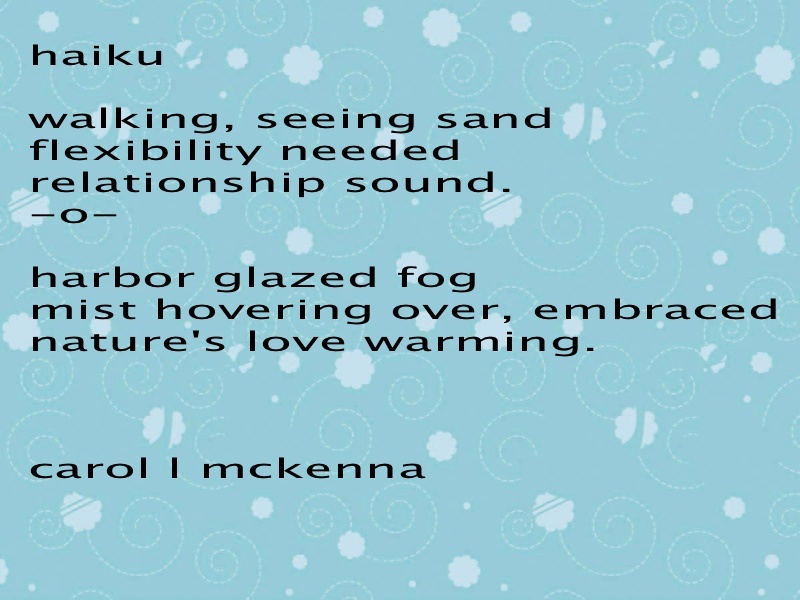 Beautiful haiku and it seems you have been having some gorgeous days in your neck of the woods! you are a welcome homecoming as i re enter blog world. 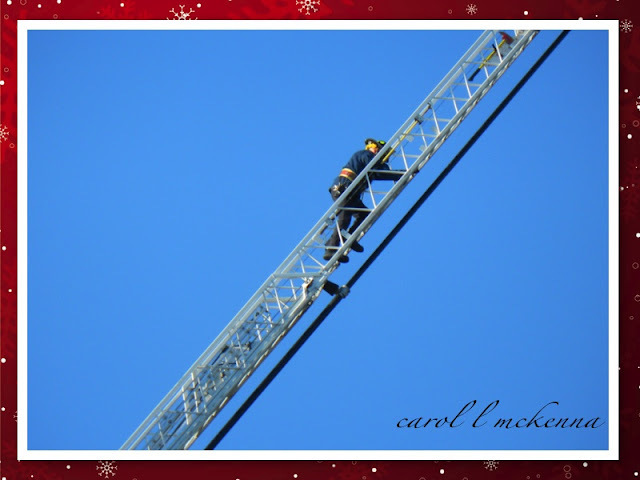 Lovely post, Carol...nice pics too! She is lovely! So serene. Great photos. You still have roses?! Wow! The watercolor sketch is so sweet! Nice photos and haiku. Hope you have a beautiful week! I hate heights, that looks so scary. The view is gorgeous. Love your quote for today...Boldness has genius!! Very nice. Happy thanksgiving to you and your family. Wow, looks like I'm really late getting here. Love the photos and of course the watercolor sketch. You seem to pack so much into each day. beautiful pictures, as always, but my favourite was Gaia! The last wild rose looks beautiful ! A good bye from the summer ! I'm going to learn how to do pen and ink one of these days...it is so soft and beautiful. Such simple lines but her love is always undeniable. 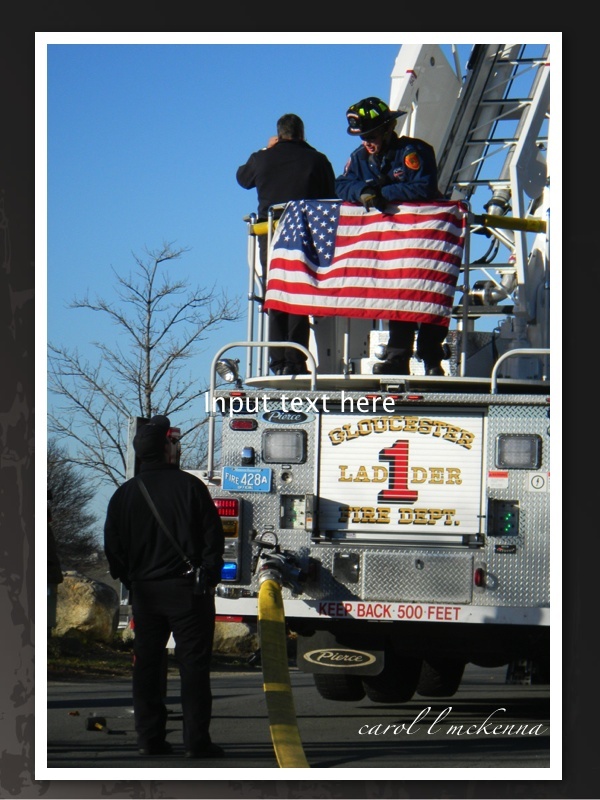 I like the striking ladder one best. I am originally from MA but now live in VA. 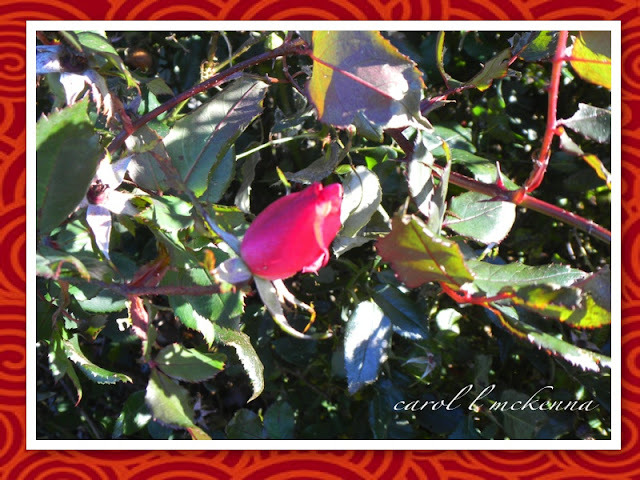 Wonderful, beautiful post for the day as always, Carol! I do love the path of light across the water! Breathtaking! Hope you have a wonderful week!! seeing the fire fighter up on the ladder makes me think of hanging Christmas lights in town. Your posts are always so creative. Here I am visiting again...love to come and see what you have been doing. Each picture is so wonderfully framed and so much creativity going on at this site. Art, poetry and photography and humanity. I wish I had the talent to design websites like you do. cheers. Your Gaia is beautiful and your haiku is so touching. Beautiful photos! I love the watercolor sketch. I do like that corner to corner ladder shot - nice composition. Your drawing of Mother Earth is beautiful. And I love your Haiku, very pretty. Your are a very creative person, I loved your post. Have a great week! We all have a lot to be thankful for. Your creative pictures often sum up how I feel. Great series!! Boom & Gary of the Vermilon River, Canada. I very much like the picture of the last wild rose and Mother-Earth-Gaia is so lovely too!